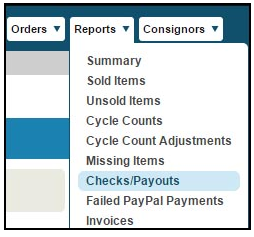 Navigate to Reports > Checks/Payouts. On the drop down menu, select the Check Range you would like to export. Note: Only select the checks you want to export at this time. The file should be saved to the Commission Payments folder that was created earlier. This file name is the date of the export, not the check run date. If you have any questions with CrossPostIt, please let us know!